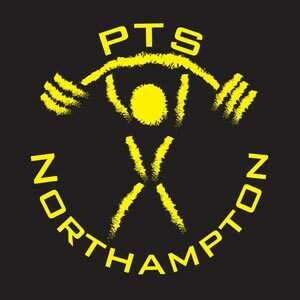 Latest News » Articles & Blogs » PTS competing at the All England Powerlifting National Championships! ← Testimonial of PTS member and unlikely badass Pj Gentle! PTS competing at the All England Powerlifting National Championships! The GBPF All England Powerlifting National Championships was held this year over three days (Friday 14th, Saturday 15th, and Sunday 16th August 2015) hosted at Moulton College in Northampton. We had all our lifters competing on the Saturday, Faye Jordan was supposed to be competing on both the Friday and Saturday but had injured her back (the horrid fingals finger from 2 weeks ago in the strongwoman competition) and had to pull out. Faye is not impressed! An awesome day of lifting, Nina Cambatta went up a weight class to the 72kg Senior category (just for this comp, back to 63kg for the British!) and still came 3rd, getting a PB 125kg squat, 67.5kg bench press, 165kg deadlift and 357.5kg PB total along the way. Wendy Williams in the 72kg Masters 1 class came 2nd with a PB 110kg squat, a 52.5kg bench press and further extended her East Midlands deadlift record to 137.5kg and got a nice 300kg PB total. David Braithwaite came 2nd in his 74kg Masters 1 class and PB’d his squat with 152.5kg, his bench press with 110kg AND his deadlift with 190kg, so obviously he also got a PB total! Lee Betteridge is just going from strength to strength with a 200kg squat, 140kg bench press, 245kg deadlift, 585kg total and a 2nd place in the 83kg Seniors! That’s him on the right in the picture. Ali Wilson got a 150kg squat, a 115kg bench press and a 200kg deadlift for a 465kg total, which wasn’t what he had hoped for, and he had no excuses as he felt fresh and good all day! But Ali is very pleased and proud of all the other PTS lifters, they were all excellent! If you’re interested in getting involved in the sport of Powerlifting or you would just like to train in the discipline for improved strength, muscle, confidence and performance then get in touch! And finally, here is the video of all the lifts from the PTS crew! Enjoy!